Invited speaker at the annual Mouth Illustration Forum. Sophie Herxheimer , Harriett Lee-Merrion, Alex Bildsoe, Lucy Kerr, Phylly Bluemel, Mairead Dunne, Charlie Sherratt and Barrie Tullett of The Caseroom Press. 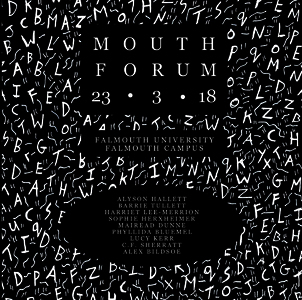 The theme for 2018’s forum was 'Mouth: Illustration and Poetry'. It involved talks from established poets, illustrators and poet-illustrators. Linked to the forum was the launch of a new Atlantic Press publication, Mouth, an anthology of poetry and illustration from a diverse range of voices. 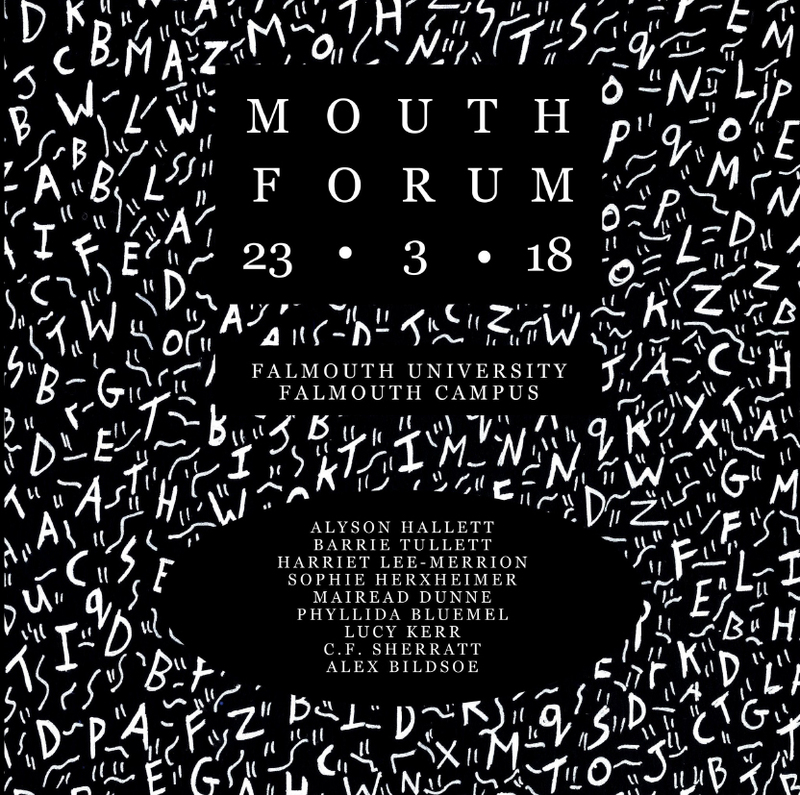 The Falmouth Illustration Forum is an internationally renowned annual event, now in its 16th year, that brings together high profile speakers on a yearly theme. Whilst organised by Falmouth University’s MA Illustration: Authorial Practice, and always with an eye to illustration, the speakers range from practicing illustrators to publishers, designers, fine artists, writers and more.